The good news is, you’ve been invited to interview for what seems like a great job at a Nashville truck driving company. The bad news is, not every opportunity is ideal for everyone. Before signing on the dotted line and hopping into the cab, you’ll want to ask a few important questions of your own. 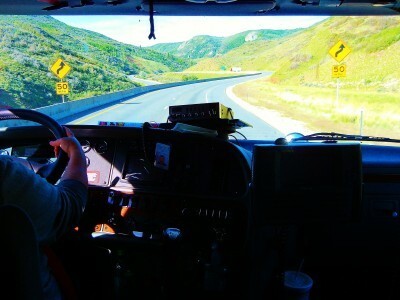 This will help you determine ahead of time whether this particular trucker job in Nashville is the best fit for you. 1. What Equipment Will I Be Using? If you’re going to be sitting behind the wheel for several hours a day, you want to be as comfortable as possible. You also want to be confident that the truck you’re assigned to is in good condition. Time spent waiting on the side of the road for repairs is time wasted and money lost. 2. Do You Have a Slip-seat Policy? Some trucking companies have policies which state that when one driver takes time off, his or her truck will then be assigned to someone else. If you prefer not to share your equipment, make sure the company you’re considering does not do slip-seats. 3. Do You Pay for Layovers? Generally speaking, a good trucking job in Nashville will include pay to the driver for layovers in between scheduled loads beyond his or her control. Without such a policy, you’re off the clock unless you’re physically driving. 4. Do you allow and/or pay for lumpers? A lumper is someone who is paid to load and/or offload trucks. 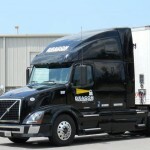 In some cases, the trucking company may pay the driver to load or unload freight or allow the driver to hire a lumper. You’ll want to know if this is an option and, if so, who is responsible for paying. 5. What is Your Time-off Policy? A trucking company may promise you two days off, but make sure you clarify exactly what those days are and how the policy works. For instance, if the company says you’ll have weekends off, but you don’t arrive to the terminal until early Saturday morning, and you have to offload the truck, part of your “time-off” will actually be spent working. Understand the details beforehand. 6. What are the Salary & Benefits? It may seem obvious, but many people forget this important question, which can lead to wasted time and aggravation. Learn as soon as possible whether the pay is adequate and what type of benefits package you can expect. 7. Do You Offer Bonuses? Some trucking companies pay out bonuses for safe driving and other performance-related achievements. It’s always good to know this information from the get-go. Landing a trucking job in Nashville involves more than just answering your recruiter’s questions about yourself and your experience. It’s equally important to ask questions of your own to help get a clearer picture of the company, job description and whether it’s a good fit for you. The questions above can help you make a wiser, more informed decision.